CBRE is pleased to launch the Public Tender sale of Far East Plaza #02-64/65/68/69, a total of four adjoining strata-titled retail shops, fronting the main concourse of the shopping mall. The four retail shops are being offered as a two-unit or four-unit deal structures and the units sizes range from 624 sq ft to 1,248 sq ft. Strategically located on the upper ground floor fronting the main concourse, these units enjoy extremely high shopper traffic and excellent visibility. The escalators and lifts are also located near to these units. Far East Plaza is one of the most bustling shopping malls located within Orchard Road shopping district that enjoys voluminous foot traffic from both strong tourist and local shopper catchment. This freehold shopping mall dazzles with a host of amenities including retail offerings, F&B, entertainment and lifestyle establishments and has long been a popular retail mall in Singapore. It enjoys seamless connectivity to other parts of Orchard Road shopping district via a covered pedestrian bridge. Both taxi and bus stands are also conveniently located at its doorstep. One of the key attributes of the building is its ample car park space, excellent by industry standards and offers a high level of convenience to shoppers and retailers alike. Landmarks nearby include Grand Hyatt Singapore, Goodwood Park Hotel, Scotts Square, Tangs, Marriot Hotel, Royal Plaza On Scotts with DFS Galleria and ION Orchard. 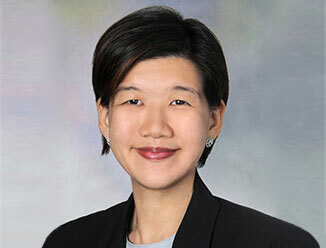 Sammi Lim, Associate Director, Investment Properties, CBRE said, “New supply of retail space in Orchard Road remains limited for the next few years. Between 2014 and 2018, 5.7 million sq ft of retail space is expected to be completed but only about five per cent will be located in Orchard Road area. Looking ahead, retail rents in Orchard Road will continue to grow given strong occupancy level, limited supply and positive demand. Recent caveats lodged for Far East Plaza showed that the latest transaction for two retail shops on the third floor were being transacted at $8.35 million and $12.28 million, which works out to $11,763 and $11,769 per sq ft respectively, in September this year. The highest transacted price achieved in 2014 was for a second floor unit which was sold for $12,310 per sq ft in April 2014. In comparison, the guide price for the subject units are attractive at $6 million for each pair, which works out to about $9,615 per sq ft.
As the units are zoned commercial, both local and foreigners are eligible to purchase with no additional buyers’ stamp duty (ABSD) and no sellers’ stamp duty (SSD) imposed on the purchase of the Property. CBRE is the sole marketing agent for this Public Tender Exercise. The tender closes on 2 December 2014, Tuesday at 3 pm.